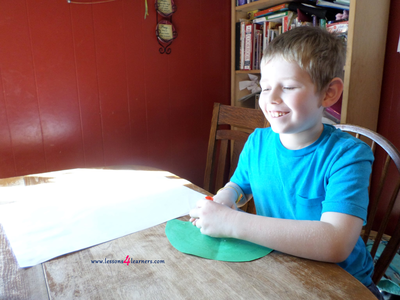 Cut out an umbrella top from the colored construction paper. 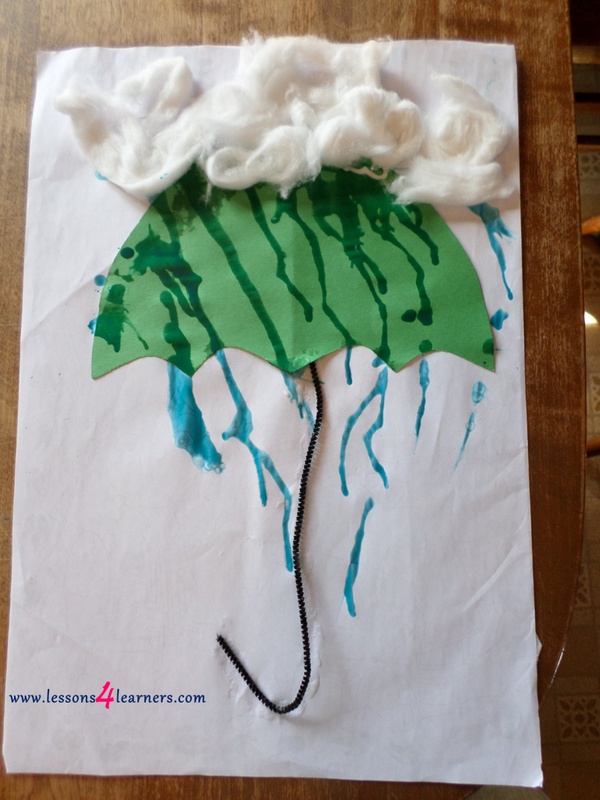 Glue umbrella top onto white paper. Drop splotches of paint near the top of umbrella. 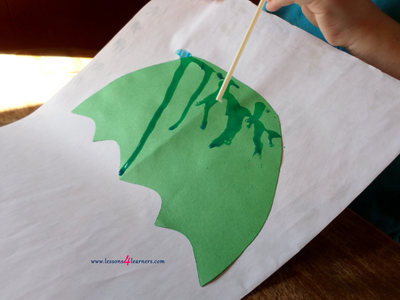 Quickly blow the paint down the umbrella creating the look of rain on the umbrella top. 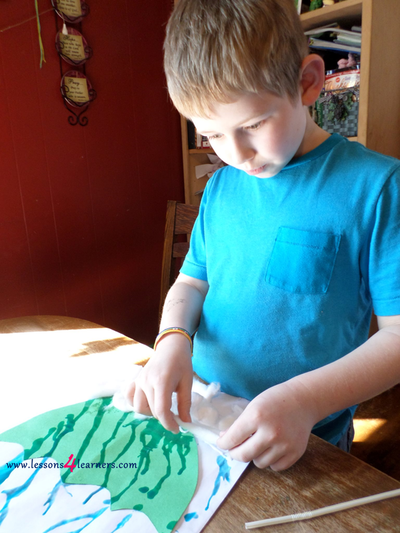 (we tilted the paper a little to help the paint go down the paper better) Stretched out cotton balls to create the look of clouds and glue onto the top of the umbrella covering any large paint. 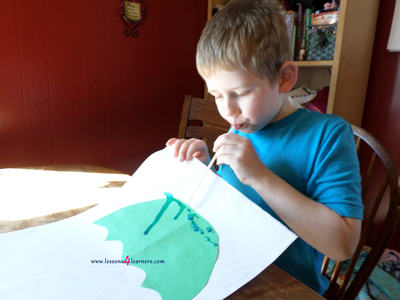 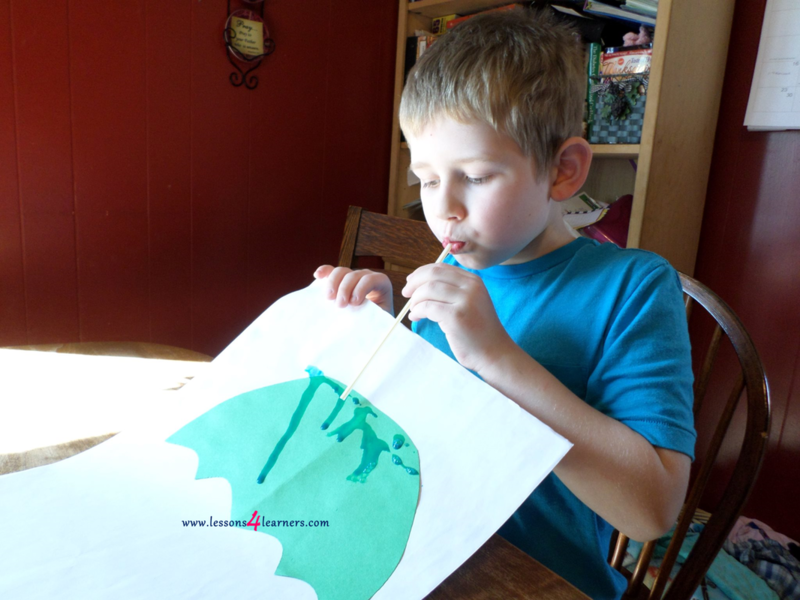 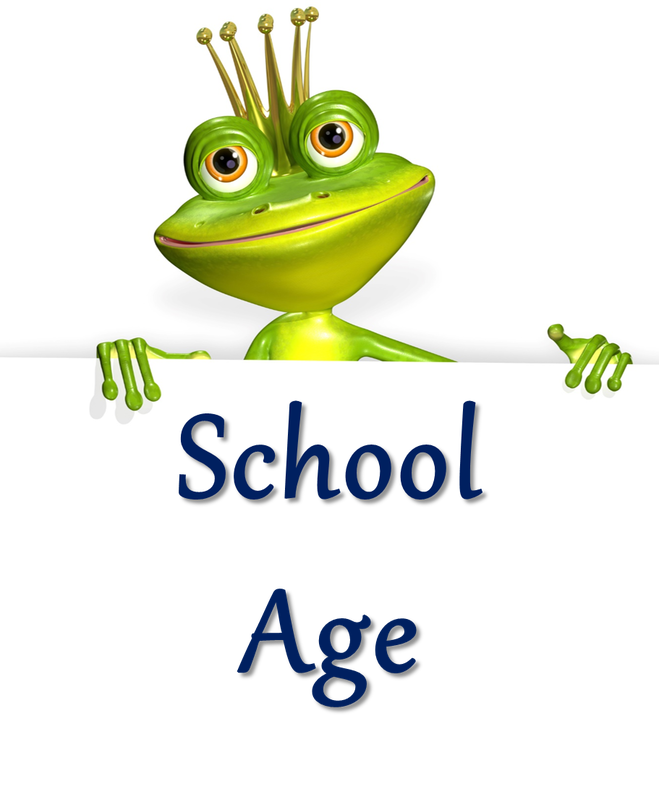 Use a chenille stem to make an umbrella handle and glue it onto the paper under the umbrella top.